It's official: The Empire cast is super tight off-screen. As some fans already know, Terrence Howard and Taraji P. Henson are friends, and Jussie Smollett and Bryshere Gray are friends in real-life, too. 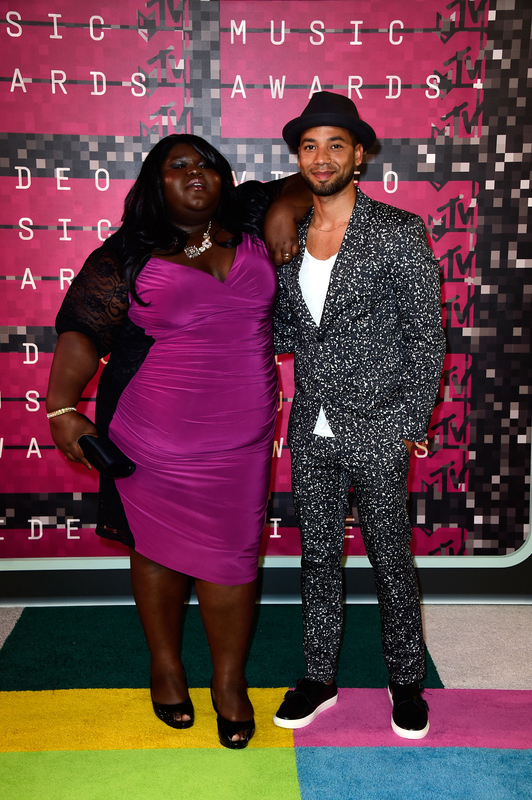 Well, did you also know that Jussie Smollett and Gabourey Sidibe are best friends and roommates? That's right, E! News reports that these two aren't just stuck together on set, while filming scenes as Jamal Lyon and Becky, or while promoting the hit FOX musical drama. They actually choose to be with one another most of the time, since, you know, they live together. Who knew? There's no doubt that Jamal and Becky shared some great scenes together during Season 1, and I can only hope Empire fans, including myself, see more of that throughout Season 2. It's no wonder their banter is on point; they're probably so used it from being roomies. It's unclear how long they've been living together, but based on a video shared by E! of the two answering questions about one another, I'd say they know each other pretty well. On top of being roommates, Smollett and Sidibe are hilarious and the most adorable BFFs I've ever seen. If you're looking for a good laugh and another reason to fall in love with Empire, check out their video interview here . And for more evidence of the actors being cute roommates and besties, just take a look at the photos below. I'm glad to see they split up the chores. This is what they do in their free time. That Time They Were "Super Friends"
They are the greatest roomies of all time.